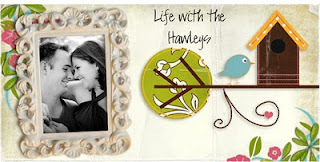 Today you can find me guest-posting over at Life with the Hawleys! Darby was kind enough to ask me to participate in her Marital Monday series she's had this month. So head on over and check out my post to find out some things I've learned about marriage! And leave Darby some love! Love your post! Thank you so much for guest posting! Loved your post! What a sweet story. Going to check it out! Hope that you had a lovely weekend! Love your post! Loved the first picture of you two. So fun to think about all those years ago...who knew we'd be sisters one day!? Great post! What an honor!